Monster Cable Monster Keyboard Instrument Cable Straight-Straight 21 ft.
A million sounds. A million sonic possibilities. That's the beauty of the electronic keyboard. Yet, some of this beauty can get lost. Ordinary wire can promote unwanted interference and a thinner, more one dimensional sound. 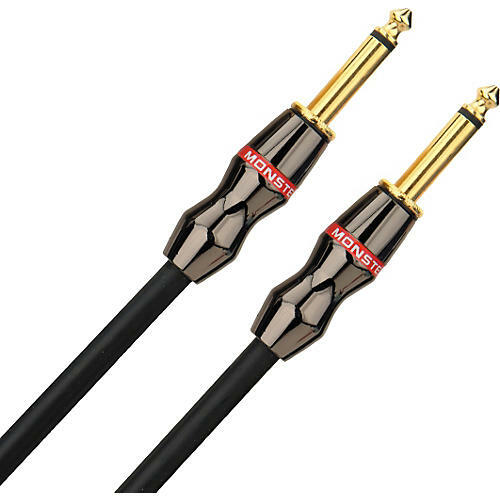 Monster Keyboard Instrument cable features advanced technologies including low-noise SingleHelix constuction, and MicroFiber dielectric which delivers a full rich tonal quality and maintains the phase integrity and frequency balance of your keyboard's signal-even over long lengths. Multiple-gauge high- and low-frequency wire networks for accurate, natural sound reproduction.